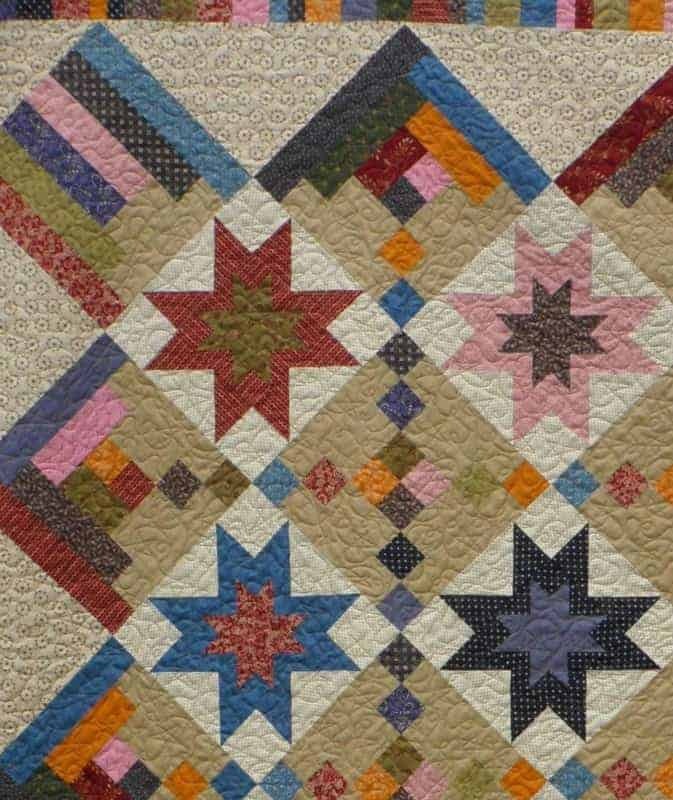 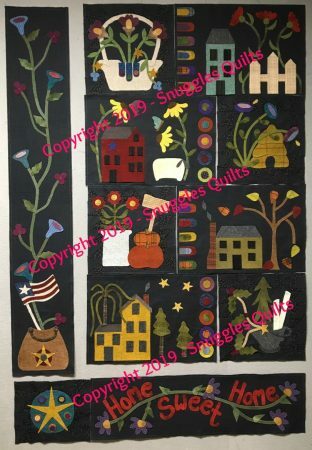 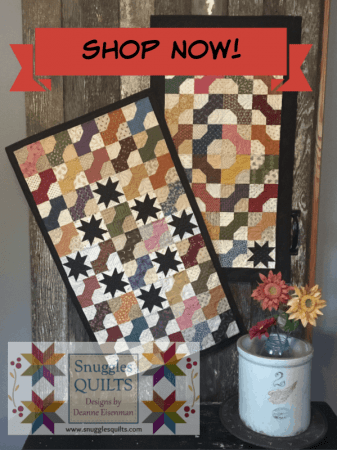 Scrappy, pieced stars are framed by unique colorful setting blocks for a fun lap quilt. 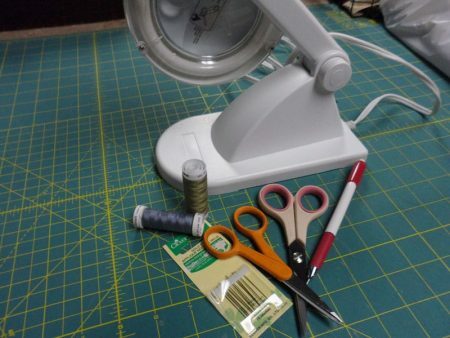 Use as many fabrics as you want to make it scrappy as you want! 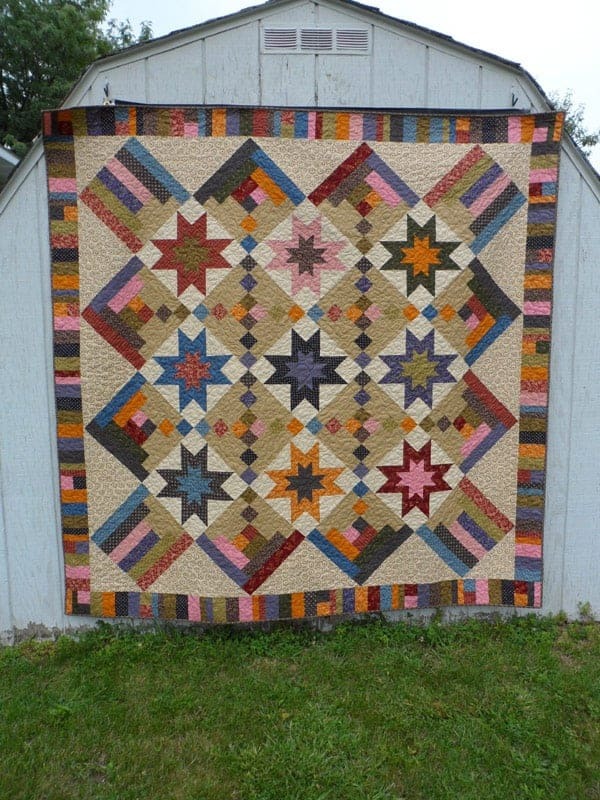 Lap quilt measures 76 x 76″.